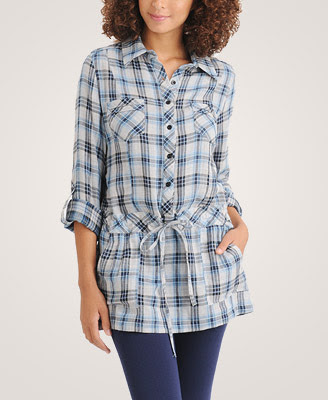 Forever 21 has a similar style tunic (instead of a dress) that retails for a budget friendly $22.80. Pair it with leggings and you've got a great look for fall (can you believe we're talking about fall clothes already?!). Click here if you're interested in purchasing.